Flexible premium consumer. The high-quality, 13.3-inch laptop with a 360-degree hinge and touchscreen provides a convertible feel for around 800 Euros (~$1023). It might be the right device for users who are looking for an alternative to Lenovo's Yoga 2 or simply expect a bit more from their laptop. There's a lot to like about the Dell Inspiron 13 7000 Series 2-in-1. Its flexible hinge lets you use it as a tablet or a laptop, and you can position the keyboard to act as a tablet stand or a Tent mode support. The IPS display delivers crisp colors and a sharp HD picture, and its touch-screen response is top notch. While a solid performer, however, it can't match the performance and battery life of our Editors' Choice for midrange convertible-hybrid laptops, the 15-inch Toshiba Satellite Radius P55W-B5224. If you’re looking for something and have a reasonable amount to spend, Dell’s 7000 series Inspiron handles itself well and is spec’d closely to other machines in the $1600-2000 class. That said, we’re curious about its lack of high-grade materials, because with this set of specs and a $1700 price for the model we checked out, Dell is competing against models which aren’t far off the dollar mark and yet include better looking and more solid hinges (Lenovo Yoga 3 Pro) or aluminium as the chassis material (HP Spectre 13, 2015 edition). There's a lot to like about the Dell Inspiron 13 7000 Series 2-in-1. Its flexible hinge lets you use it as a tablet or a laptop, and you can position the keyboard to act as a tablet stand or a Tent mode support. The IPS display delivers crisp colors and a sharp HD picture, and its touch-screen response is top notch. While a solid performer, however, it can't match the performance and battery life of our Editors' Choice for midrange convertible-hybrid laptops, the 15-inch Toshiba Satellite Radius P55W-B5224. However, if the Radius is a bit too big for your liking, the Inspiron 13 7000 is an outstanding and slightly smaller alternative. 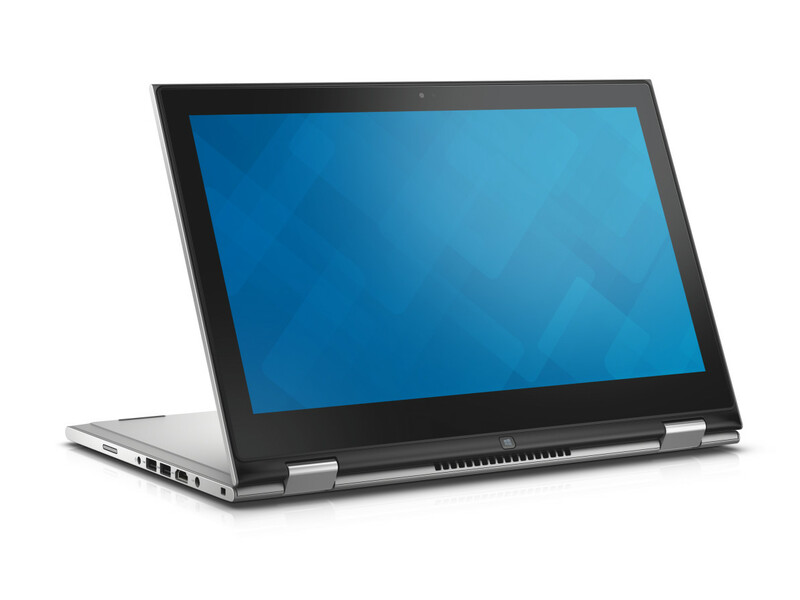 We're really impressed with the Dell Inspiron 13 7000. It's a well-built, attractive and light laptop that transforms effortlessly into a slightly bulky tablet. With a superb screen and decent performance, we can't think of many better hybrid devices on the market at the moment. At the end of the day, while not without quirks, the Dell Inspiron 13 7000 is a good device and should be on your list if you’re after a 13 inch 2-in-1 convertible and only have about $700 to spend (I’ve also made a list of affordable ultrabooks, in case you’re interested). Anyway, that’s about it for now, those were my impressions of the Dell Inspiron 13 7000 series. A good buy, but with a few quirks that could break it for some of you. The comments section below is open if you have any questions or anything to add to this review, and I’ll be around to reply. Positive: Elegant equipment with Swivel Screen. Negative: Short battery life; no Ethernet port or D-Sub port. Positive: Very good build quality; very good FHD display; convenient conversion; good performance; good price; included stylus; efficient cooling system. Positive: Good performance and autonomy; good stylus and backlit keyboard. Positive: Great case; great keyboard; good indicator; energy-efficient hardware. Positive: Comfortable keyboard and touchpad; very good Full HD IPS display. Negative: Noisy cooling system under load. The Dell Inspiron 13 7347 is one of those genuinely good looking notebooks. It looks much more expensive than what its actually priced at. It is covered in a nice silver metal like case, which is actually made from plastic. The plastic casing isn't that bad actually. It feels solid and has a rubbery coating, which offers good grip. At just 19 x 330 x 222 mm, it is definitely well sized too. This is one of the thinnest laptop-tablet hybrid out there. The 13.3 inch IPS screen has a resolution of 1920 x 1080 pixels. It delivers solid contrast and wide viewing angles. A FHD panel is quite a common thing these days, but it is still a candy for the eye when you look at one. Around the laptop, you'l find a HDMI port, two USB 3.0 ports, audio ports, a USB 2.0 port, a memory card reader and a stylus. The keyboard is a simple Chiclet style backlit keyboard with black keys. The trackpad on the other hand is slightly rough and less responsive. The Dell Inspiron 13 7347 comes with an Intel Core i5-4210 processor, 8 GB of RAM and a 500 GB HDD. All this hardware is powered by a 43 Wh battery, which is slightly less than what other hybrids offer these days. At a very reasonable price, the Dell Inspiron 13 7347 is a perfect choice when it comes to the tablet-laptop hybrid. It looks good and performs well. 78.11%: This rating is not convincing. The laptop is evaluated below average, this is not really a recommendation for purchase.